As you know, if you've read any of my blogs lol, I LOVE to read. I constantly have an audiobook playing and am usually reading a couple of books as well. I just love the feeling of diving into another time and place. It's how I "relax" and unwind, even if the book is suspenseful, and many of my faves fall under that category! 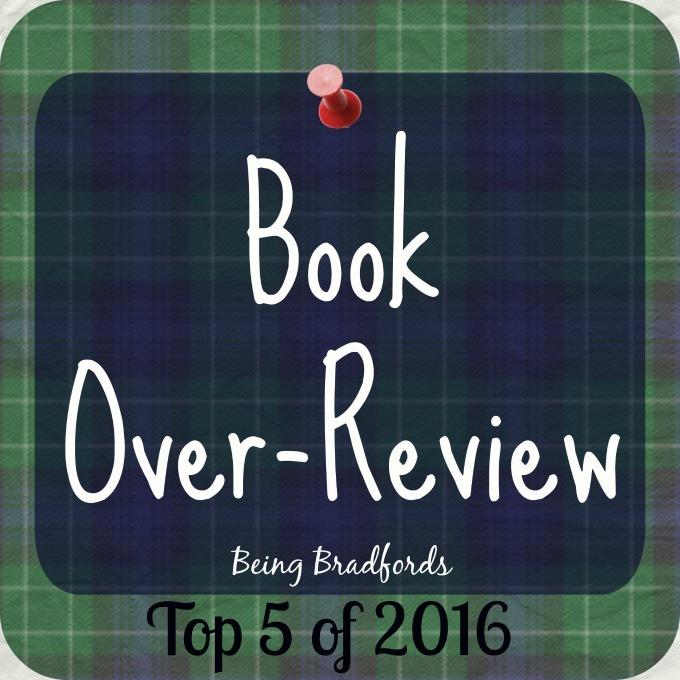 Here are my top 5 out of the books I read in 2016. If you want to see the entire list, click here. This was hands-down my favorite book of the year. It was so unique in the sense that it is told backwards. You find out about a girl who has gone missing and then you slowly make you way back to day one, that leads to her disappearance. It's so interesting and keeps you on your toes, thinking, wait... what happened?? I love books that confuse me and that I can't pinpoint exactly who is guilty or not. To see my full book over-review click here. This was one of the most disturbing and bone-chillingly creepy books but I couldn't put it down. The suspense about killed me lol. The book is about a series of murders that a woman uncovers in some documents on her husband's computer. She tries to solve the murders and find the link between the information and her husband. As you watch her dig deeper, you become more and more creeped out with what is happening. Don't read it while you're alone lol! You watch her uncover the truth and place herself in direct danger of being the next victim. Such a great read! This book is very different than the two previously mentioned. Secrets of a Charmed Life is set during the London Blitz in World War II. It follows the story of two sisters who are sent away during the bombings, in hopes that they would be safe. Life takes a detour and they decide to head back to London, but they have picked the worst time to travel. The story follows their journey through London, searching for their mom and for each other. It is heart wrenching but rich with history and hardships. A must-read! Read my full book over-review here. This book is also set during WWII... shocking, I know! It follows the life of Cora, a young woman in France, trying to make her way as a hat maker. She has reinvented herself to hide from the Nazis, since she is a Londoner by birth. Once again, you are privy to the underground life during the war, and you see just how people survive in such dangerous times. This is a long-winded book but also so interesting. See my full book over-review here.